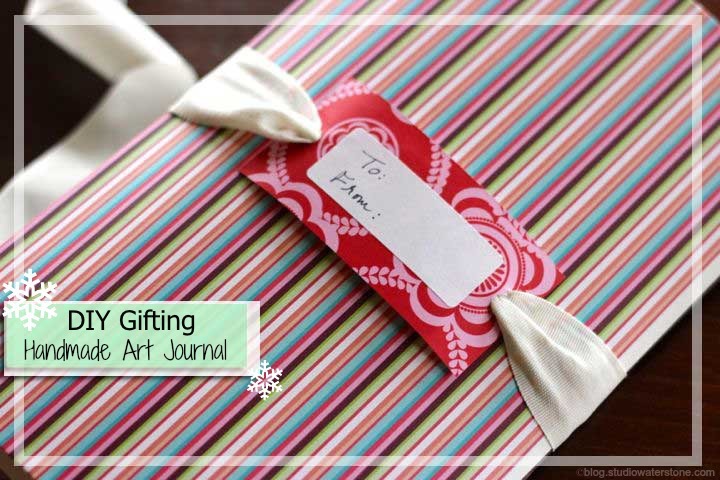 I'm beginning a weekly art journal for 2013 and, of course, I'll need the journal to get started. Don't be intimidated by the 4,303 pictures I'm using to illustrate this tutorial as it's extremely simple. In fact, after making the first, I quickly made the second in less than 20 minutes! 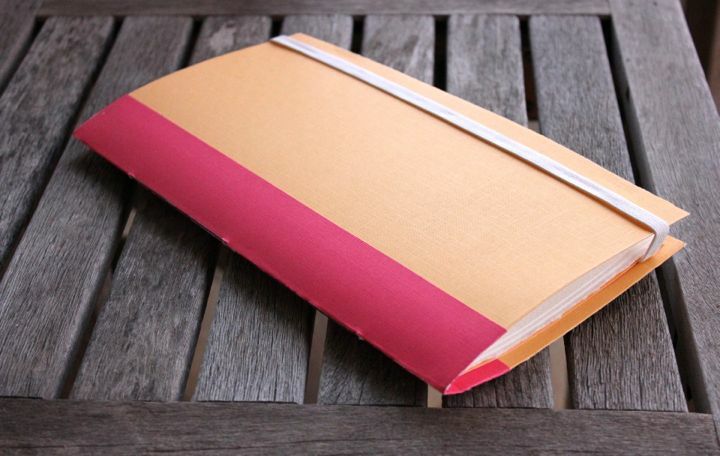 So why not make a few additional journals to give as holiday gifts? 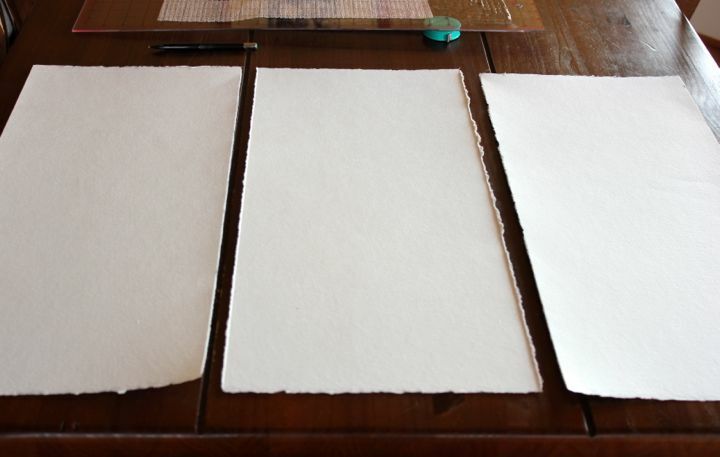 Mark across the 30" width at 10" and 20" to divide into three separate pieces. 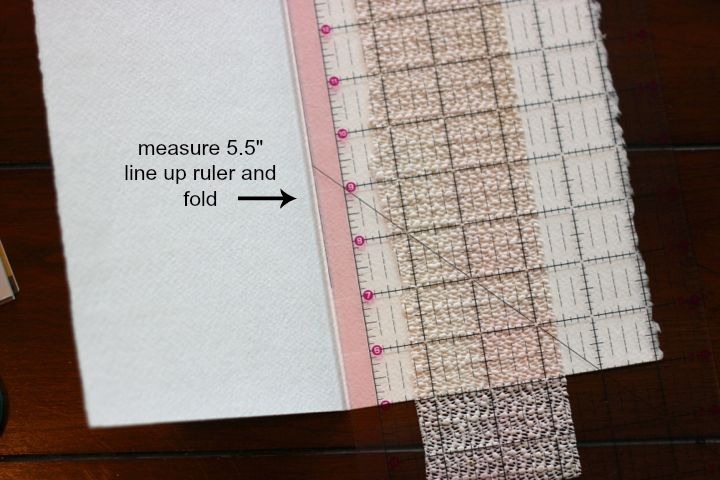 six watercolor sheets measuring 11" x 10"
Take each sheet and mark the 11" width at 5.5" then using your ruler, fold the sheet in half. TIP: I use a small piece of rug gripper under my ruler to hold it in place. 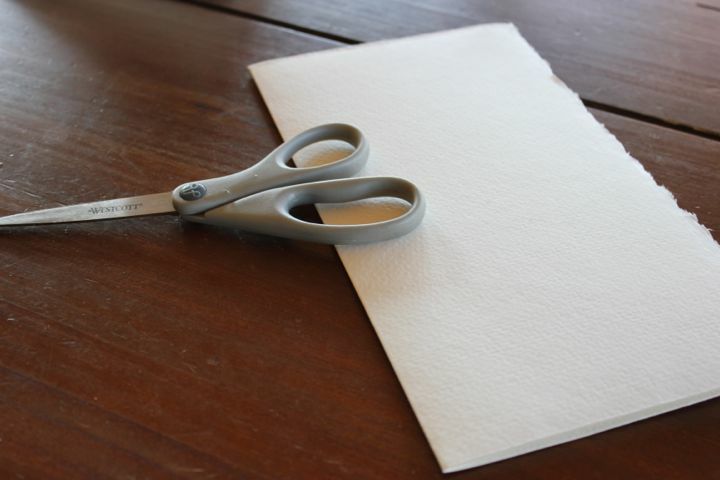 Use the side of your scissors handle to press the fold on each of the six sheets. Stack all six sheets together. 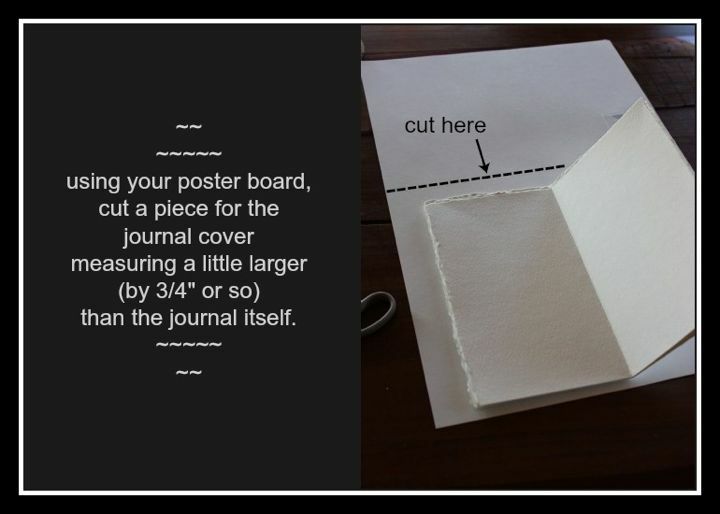 Next, fold the poster board in the center to create the outside cover of your journal. and one at each end about 1.5" from the edge. 2) Thread your needle and, from the inside thread through the middle leaving a little tail, about 4" long. 3) Go to one end and thread through to the inside. Go all the way across (still on the inside) to the opposite end, passing the middle and thread the needle back through to the outside. Come back to the inside with the needle through the middle hole. 4) You should now have two tails coming to the inside middle. 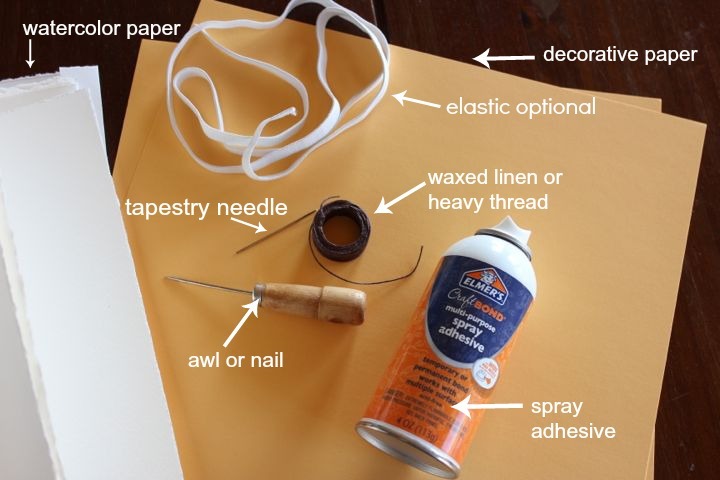 Tie these threads and trim. 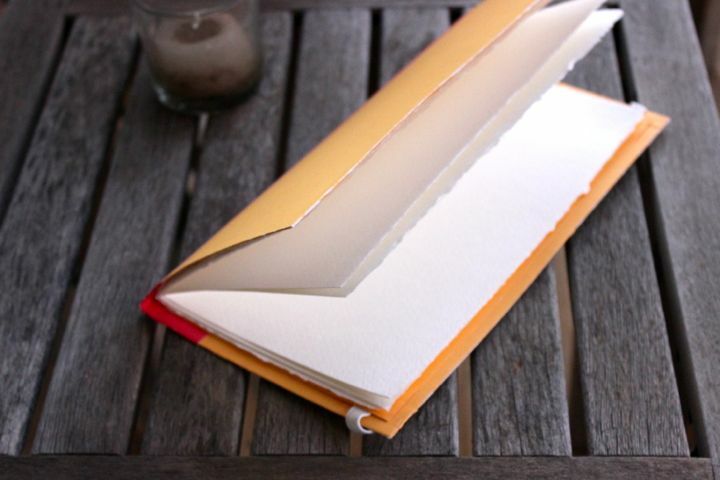 Your booklet is now bound. 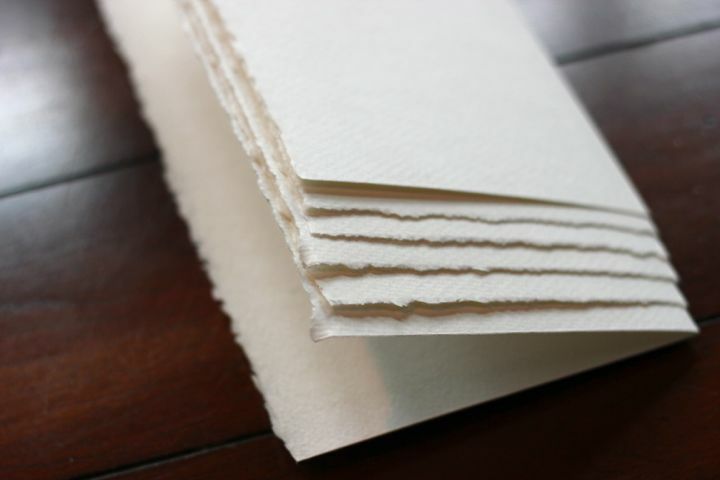 Cut two pieces of the decorative paper about 7" x 12"
Spray the opposite side with the adhesive and add it to the front and back, folding in along the edges. 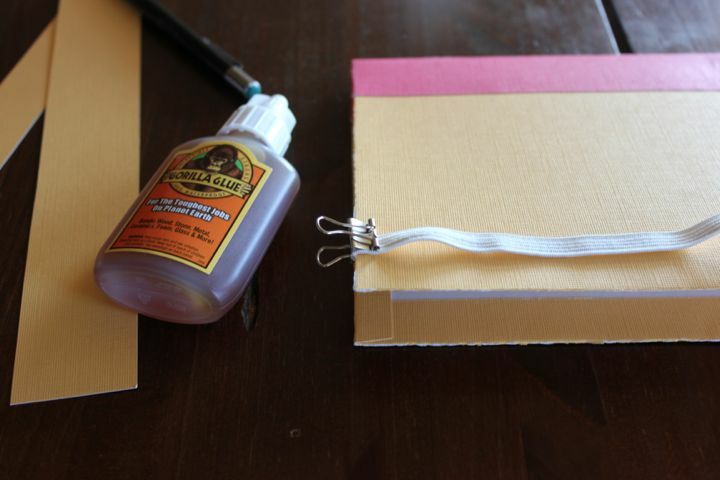 You can add a piece of elastic to close your journal by gluing to the inside of the back cover using Gorilla Glue. 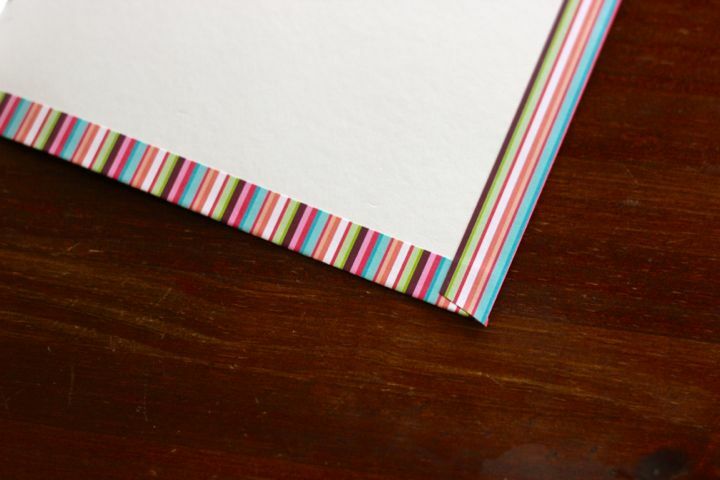 Clip until set, then add another piece of decorative paper to the inside back to cover your elastic using the spray adhesive. 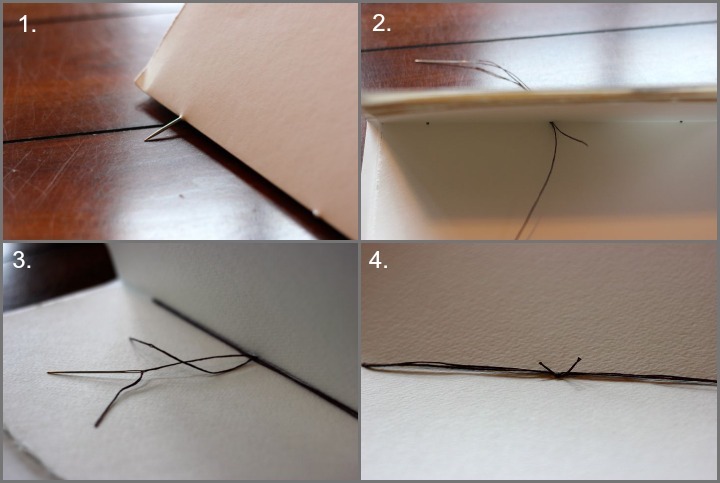 Again, once this inside cover is in place, clip along the edges until the glue has set. 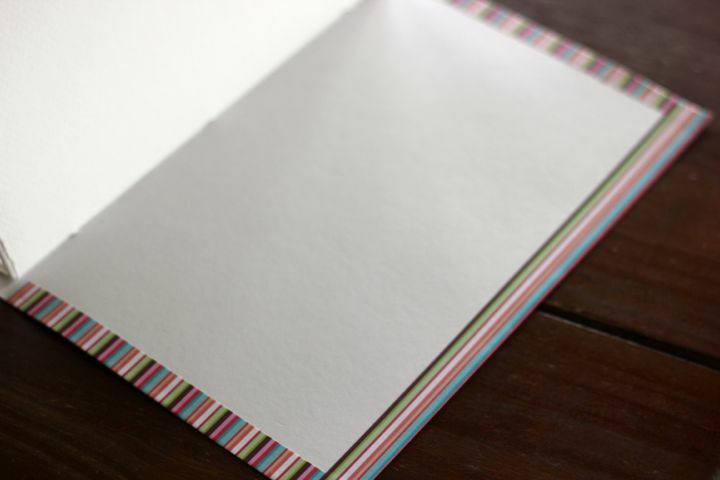 Now that your inexpensive journal is complete, be sure to join my journaling adventure in 2013.